Social speaking skills practice for English language learners. English language learners encounter many kinds of social situations in which they have to be prepared to give quick responses. I have attempted to use pictures and images to give a context for these situations and cues to the normal usage of language in these situations. 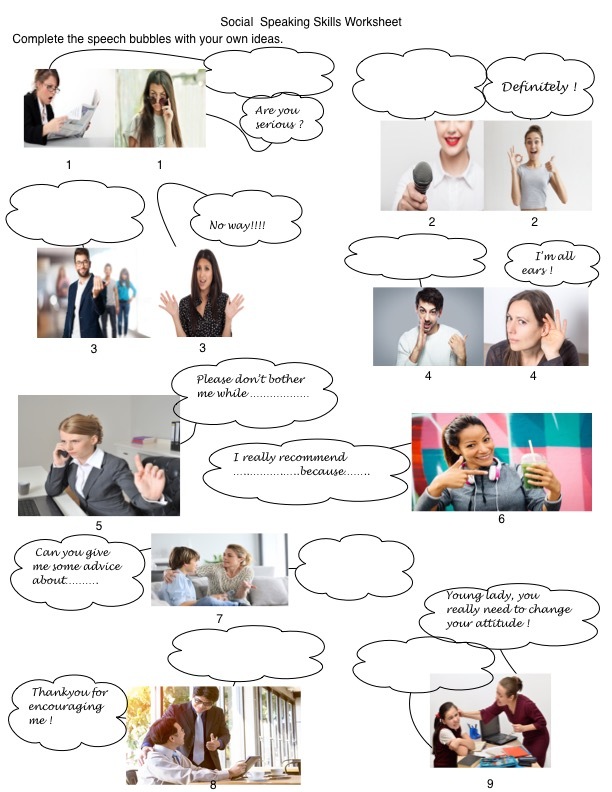 This is a general socializing language exercise to help English language learners practice expressions and phrases used in everyday conversational encounters. Students can challenge their own speaking skills competency by trying to complete the conversational exchanges on the worksheet. Click on the image or the link to download the PDF file.